Fifth-generation fighter aircraft (FGFA) is an improvement over the fourth-generation fighter aircraft and incorporate all aspect of stealth even when armed, low probability of intercept radar (LPIR), high-performance air frames, advanced avionics features, and highly integrated computer systems capable of networking with other elements within the theatre of war for situational awareness. The only fully operational FGFA is the US F-22 in service since 2005. The US F-35 ‘Lightning II’ Joint Strike Fighter and Russia’s Sukhoi T-50 or PAK-FA will go operational soon. China, Japan, South Korea, India and Turkey too are working on such projects. China’s under development Shenyang J-31 (also been referred to as F-60 or J-21 Snowy Owl) made its first flight on October 31, 2012, accompanied by two J-11 fighters in a 10-minute test flight with its landing gear lowered. With this, China became the second nation after the 1991 Advanced Tactical Fighter fly off, to have two stealth fighter designs in field-testing at the same time. India has been working on the Sukhoi/HAL FGFA. It is a derivative project from the PAK-FA (T-50) being developed for the IAF. FGFA was the earlier designation for the Indian version, while the combined project is now called the perspective multi-role fighter (PMF). The completed PMF is to include 43 improvements over the T-50 including stealth, supercruise, advanced sensors, networking and combat avionics. 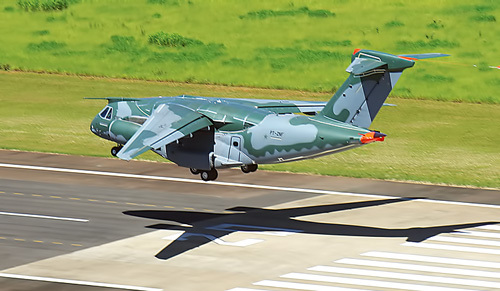 The first aircraft was to begin testing 2014, with introduction into service expected by 2022, however, during the recent visit of President Putin it was reported that the project has run into cost overruns and time delays. India wanted to induct the PMF earliest before developing a wholly indigenous FGFA and had told Russia it cannot wait till 2024-25 to begin inducting the 127 x PMF entailing an expenditure of $25 billion. However, given the long-standing Indo-Russian friendship and strong Indo-Russian strategic cooperation, it was expected that these issues will get sorted out soon. And this is already happening with Russian Defence Minister Sergei Shoigu having held talks with Defence Minister Manohar Parrikar on January 21, 2015, at New Delhi to review the PMF project. An MoD official quoting Parrikar said a decision has been taken to fast-track issues relating to the PMF. Both ministers have agreed to review progress every three months. The push to get Indo-Russian PMF project off the ground came just prior to President Obama’s visit to India. The second project is the advanced medium combat aircraft (AMCA) fifth-generation stealth multi-role fighter under development that will complement the HAL Tejas, the Sukhoi/HAL FGFA, the Sukhoi Su-30MKI and the Dassault Rafale. The product design work of the AMCA in collaboration between the IAF, DRDO and Aeronautical Development Agency is almost over. The initial design and development phase will reportedly require Rs. 4,000-5,000 crore. As per the current road map, it is planned to fly the prototype by 2024-25 coinciding generally with the time the IAF receives deliveries of the Tejas Mark II fighters. Though inordinately delayed, the IAF is slated to get the first Tejas Mark I by the end of the current financial year. That this has been possible 30 years after the LCA project was sanctioned speaks very poorly of our indigenous capability but then we also took 15 years to produce an assault rifle which is not even close to the top ten in its category. But hopefully all this will change with the new government and the dynamism of Prime Minister Modi. Presently, the simulation modelling of the AMCA is ongoing. With the Chinese stealth fighters and hypersonic vehicles on the horizon, our asymmetry vis-Ã -vis China will go up yet further. Considering that the AMCA is still in the stage of infancy, the eventual cost of inducting the required numbers would be large but that is unavoidable. While our mission to Mars has taken us to an exclusive club, we cannot afford a situation where our IAF faces stealth fighters without having similar capabilities. The LCA project though inordinately delayed has provided a huge aerospace base in the country. If large orders for the AMCA are guaranteed private players would find setting up new facilities much more lucrative. 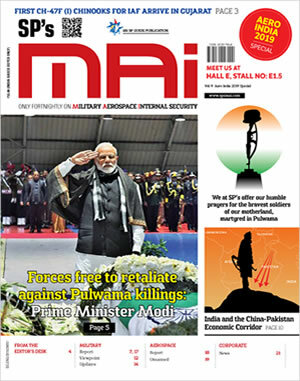 The AMCA needs to be executed on a newer model of public-private partnership to obviate many of the concerns the IAF has about indigenous production. Some of the envisaged capabilities for the AMCA including fly by light, cloud shooting and new generation man-machine interfaces actually put it in a realm closer to that of a sixth-generation fighter. 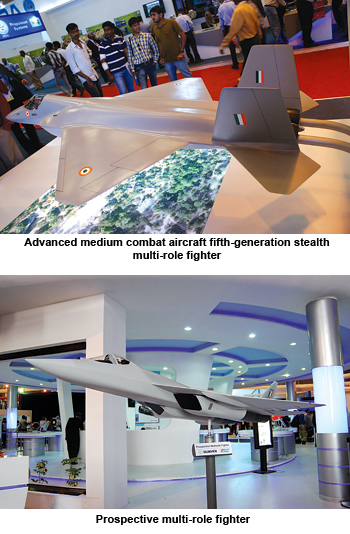 If the AMCA project is pursued wholeheartedly, India could have an indigenous contemporary fighter by 2027-28. The requirement, therefore, is to speedily progress the PMF and AMCA simultaneously.